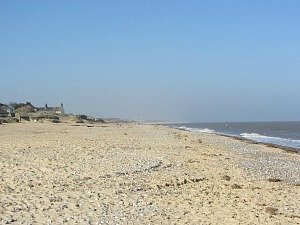 Dog friendly beaches are plentiful along Norfolk’s coastline, which is one of the most beautiful locations to come to, and what a fantastic place to bring your dog, making the trip even more special. 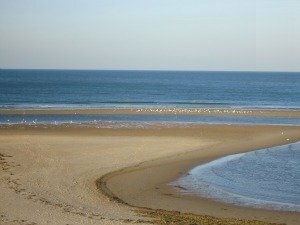 People often ask me which are the best North Norfolk beaches for dogs. Well I've persuaded my dogs to tell you themselves! Nip over and have a look! 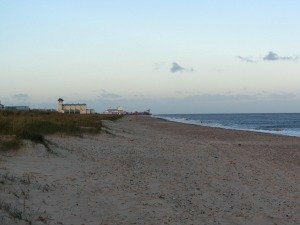 As you explore Norfolk, you’ll begin to experience the wonderful beaches, but finding out which beach you can and can't take your beloved pet onto can prove to be a difficult task. But hold on - here's a book that will save you valuable time and effort every time you want to look for dog friendly beaches. 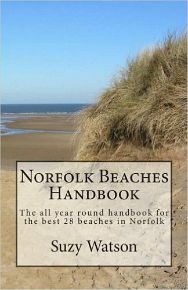 It's the Norfolk Beaches Handbook, something you can have with you at all times. 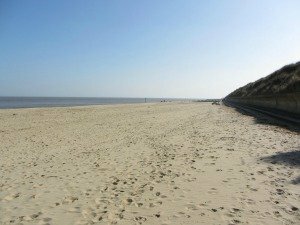 It's the all year round detailed handbook of the best 28 beaches in Norfolk, including which beaches are good for dogs and which are best avoided. 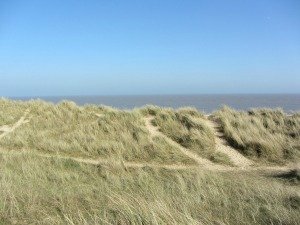 With such a diverse range of approximately 30 good beaches in Norfolk, (ranging from sandy beaches, to nature reserves, to just plain good dog walking beaches), below I am giving you a quick comprehensive list of dog friendly beaches as well as those which have summer restrictions (1st May to 30th September). Don't forget, the summer month restrictions are from 1st May to 30th September and nesting season is March and August. 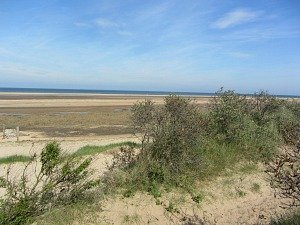 they are either not really “beaches”, one example being Morston Quay, or others that are more like Nature Reserves, such as RSPB Titchwell. I’m going to start from West Norfolk, go up and along the North Norfolk Coast, and over to East Norfolk. Dog friendly and no restrictions. 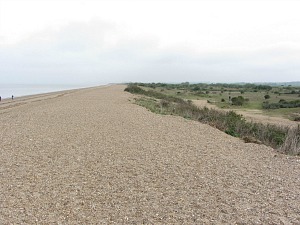 East Snettisham beach is a mainly shingle beach, but at low tide it becomes wet sand and quite sticky mud. The shingle is a little tricky to walk on, but there is a more sheltered grassy sandy walk on the other side of the sand dunes if you choose. To the West is the RSPB Snettisham Nature Reserve, again you can walk along here without any restrictions, although as it’s a Nature Reserve, best to keep your dog under control. 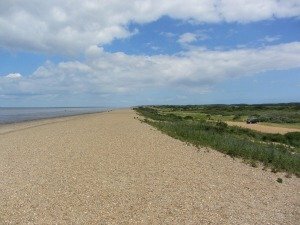 Heacham South is easy walking, backed by sand dunes and loved by dog walkers. Heacham North has a promenade, so obviously dogs need to be kept under control. Heacham North beach does get busy in the summer though. 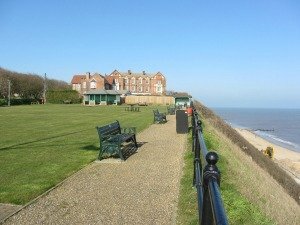 A little gem of a hotel right next to Heacham beach is the dog friendly Heacham Manor Hotel. Easy to exercise your dogs and even offer room service for you during your stay if you bring your pet. Dog restrictions in the summer months. Dogs are not allowed from the power boat ramp to the northern end of the promenade. 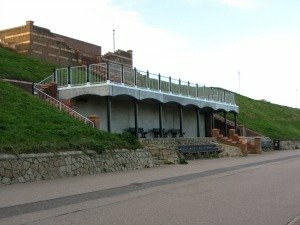 Hunstanton beach is a very popular beach backed by a promenade and gets very busy in the summer. I would not really call this one of Norfolk's dog friendly beaches. 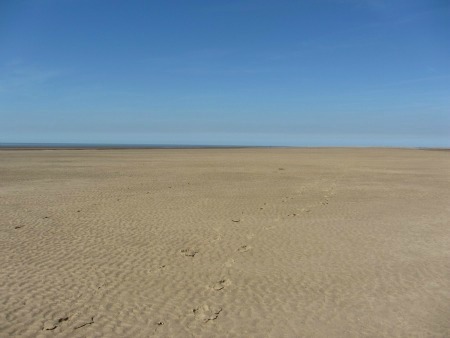 This is an amazing beach where you can walk for miles and miles on the golden sands of Norfolk. Old Hunstanton beach is one of the best dog friendly beaches in Norfolk, in my opinion. Perfect for dog walking. There are two fantastic and very different pubs in Old Hunstanton. A really relaxing pub for a dog friendly stay in Old Hunstanton is The Lodge Inn. You can read much more about this great pub here. The other one is Le Strange Arms Hotel with the adjacent Ancient Mariner pub. The pub is very dog friendly and the hotel has a few dog friendly rooms. 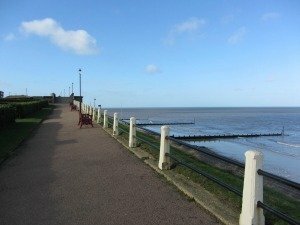 Holme beach is a really good dog walking beach and you can walk all the way to Snettisham. 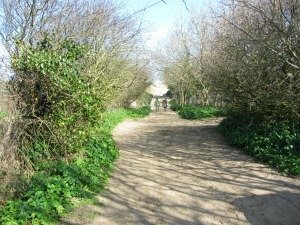 However, it does border on the Holme Nature Reserve so once off the beach, you would need to keep your dogs under control, especially during the nesting season. 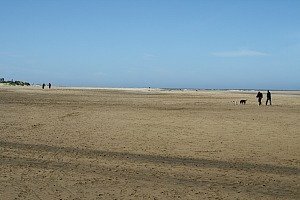 Lovely long walks though and one of the empty dog friendly beaches in Norfolk. 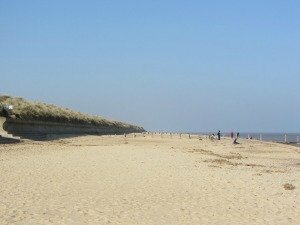 Again you need to keep your dogs under control as this is also the Norfolk Wildlife Trust’s Holmes Dunes Reserve and birds use the dunes and the beaches for nesting. Common sense is required here please. If you're looking for a dog friendly hotel near Thornham, then why not book into Briarfields Hotel , a fantasticly relaxed hotel with wonderful views. 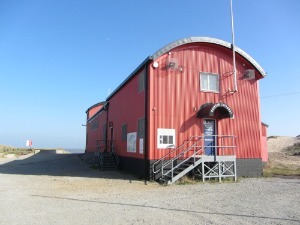 You could also check out The Lifeboat Inn and Chequers Inn, both in Thornham village and very dog friendly. Dog friendly but does have restrictions in the summer months. 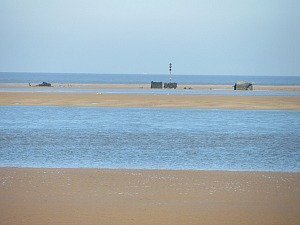 You can however, walk westwards on Brancaster beach away from the main beach. Looking for a popular dog friendly hotel in Burnham Market? Look no further than The Hoste for luxury, relaxation and shopping! 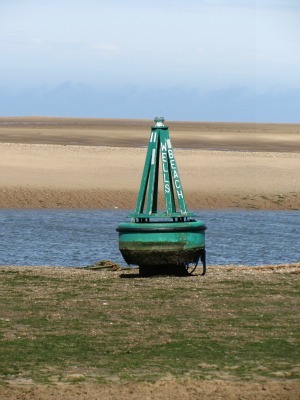 But, you will be walking within the Holkham National Nature Reserve so should be careful at nesting times. Due to the length of the walk to reach the beach, this isn’t a beach which is ever crowded, and your pets will love it. 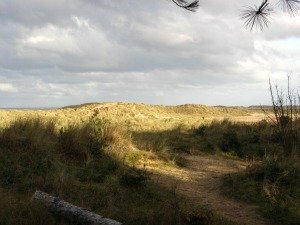 It’s a beautiful walk too, especially looking back from the beach and sand dunes towards Burnham Overy Staithe. 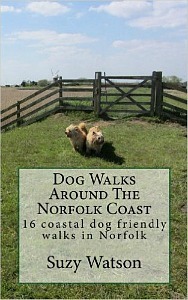 One of the great dog friendly beaches in Norfolk. 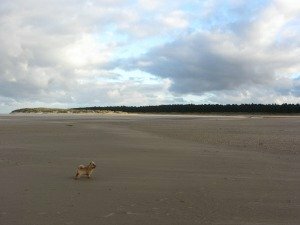 One of the many dog friendly beaches, Holkham beach has no restrictions apart from the fact that you will be walking within the Holkham National Nature Reserve if you are within the pine forest and dunes, so you should be careful at nesting times. This is another beach where you can walk for miles and miles. 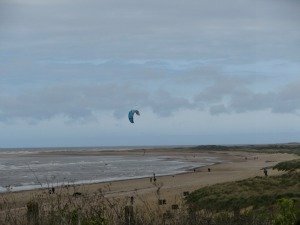 Walk East towards Wells-next-the-Sea, or West, towards Burnham Overy. One of my favourites. Dog friendly to the west of the beach. No dogs are allowed to the East. Wells beach yet another incredible beach and if you take your dogs out towards the sea, you won’t disturb anyone by the beach huts. Dogs are not allowed by the beach huts and please put your poo bags in the bins, don't leave them on them on the beach. Very popular dog friendly beach. 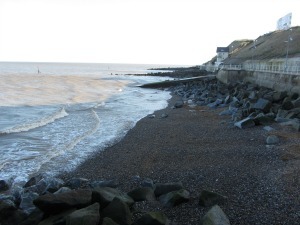 Sheringham beach is another very busy beach in the summer months, so best to avoid it with dogs. If you're looking for a dog friendly pub in Sheringham, then why not book into The Lobster Inn, a lovely hotel with delicious food and a very short walk from the sea front. Dog friendly with a tiny no restrictions area. Once past this small restriction, you have the run of the beach. 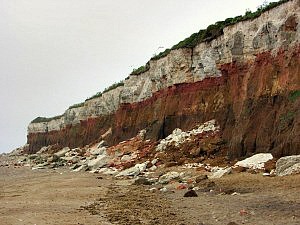 This beach is famous for its fossil collecting and where the West Runton Elephant was discovered in 1990. 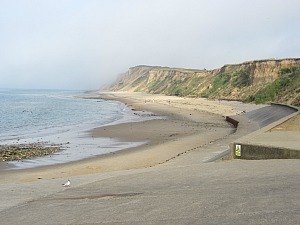 Both East and West Runton are Blue Flag beaches. Dog friendly but restrictions in the summer months. 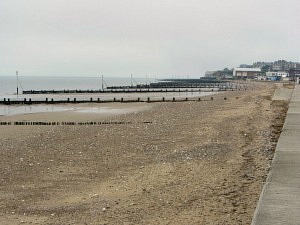 You can walk from here to Cromer on the beach. This is a Blue Flag beach. 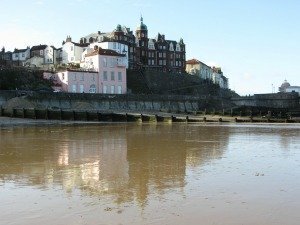 Cromer beach is one of 3 Norfolk beaches to be awarded the Blue Flag in 2014 and another very popular North Norfolk summer holiday destination. In the height of the season, this is not one of the best dog friendly beaches as it is so popular! Dog restrictions on the central beach in the summer months (that is the length of the promenade). Overstrand is a beautiful beach when the tide is out, and also a good dog walking beach at low tide. Even got little pictures of where you can walk the dog on the promenade! Dog restrictions in the summer months (that is the length of the promenade). 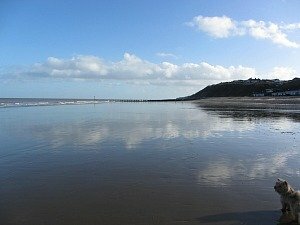 Again, very much as with Overstrand, Mundesley is a perfect dog walking beach at low tide, but also good if the tide is high too. Poet's Corner, a single storey spacious cottage that sleeps 6, a short walk from Mundesley beach. The Manor Hotel (as seen in the photo). Under new ownership in 2018, great improvements are taking place. Lovely Victorian hotel with incredible sea views. 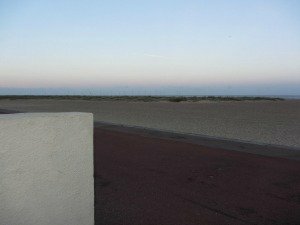 Dog restrictions in the summer months between the main groynes of the beach. Low tide is the best time for dog walks on this beach as it is mostly covered at high tide. 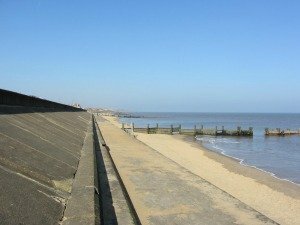 Dog restrictions in Walcott in the summer months between the main groynes of the beach. 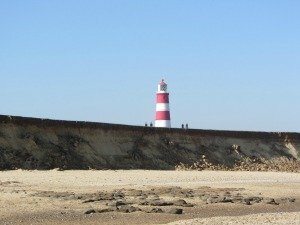 Happisburgh beach is a wonderful beach for walking your dogs if you go north of the lighthouse. Very unspoilt and quiet. Oak Cottage is a large house sleeping 10/11 people just inland from Happisburgh, close to the Broads as well. Dog restrictions in the summer months to the west of the beach. 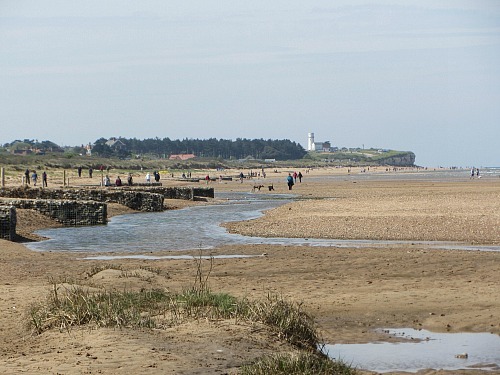 Sea Palling is one of 3 Norfolk beaches to be awarded the Blue Flag in 2014. 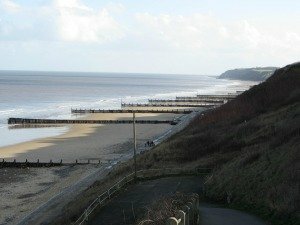 Lovely long walks here, either westwards to Happisburgh or east to Waxham. Best at low tide though. For a perfect 3 bedroom cottage sleeping in Hickling, 10 mins from Sea Palling beach, then have a look at Kingsley Cottage. Or Neaps which sleeps 2 and is in the village of Hickling with 2 very dog friendly pubs! 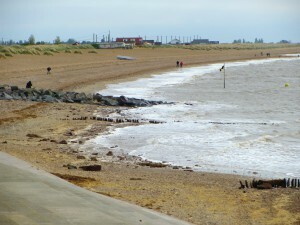 Waxham is a lovely dog walking beach with absolutely no restrictions throughout the year. 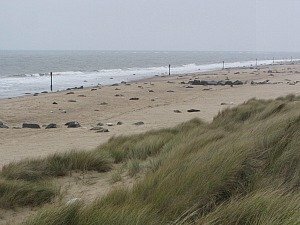 Horsey beach is most well known for the seals in the winter months. Although there are no dog restrictions, please keep them under control during the seal pup season. or at Horsey Holiday House, which is a 1 minute drive to Horsey Gap and sleeps 4 with 2 dogs maximum. If you're looking for a dog friendly self-catering cottage just outside Winterton-on-Sea, then why not book into Big Sky Cottages, a fantastic and very versatile accommodation very close to Winterton Beach and a short drive away from Horsey Beach. A great place to base yourself when seeing the seals. 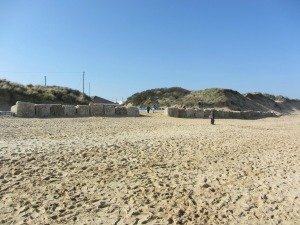 Winterton beach has no dog restrictions, however, it is part of the Winterton Dunes National Nature Reserve so you do need to keep your dogs under control in the nesting season. 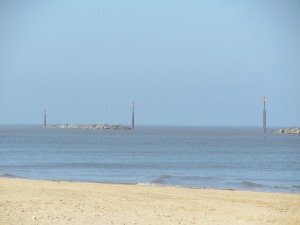 Snowdrop Cottage sleeps 4 and is in Winterton village very close to the beach and another great place to base yourself for visiting the seals at Horsey. 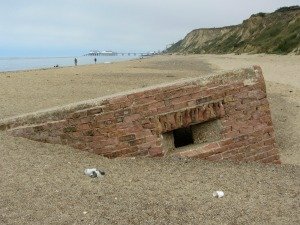 Hemsby beach is one of the busier beaches in Norfolk, so it's advisable not to bring your dog to this beach. The village is also very busy. If you're looking for a dog friendly self-catering cottage in Hemsby, then why not book into Dawn, a renovated 1930's holiday home a one minute walk from Hembsy Dunes and a short drive away from Horsey Beach. A great place to base yourself when seeing the seals. 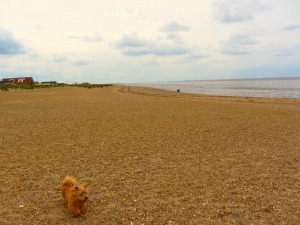 Caister beach is most definitely dog friendly with a lovely long stretch of sand to exercise your pet. Dog restrictions in the summer months between Britannia Pier and Wellington Pier. One of 3 Norfolk beaches to be awarded the Blue Flag in 2014. 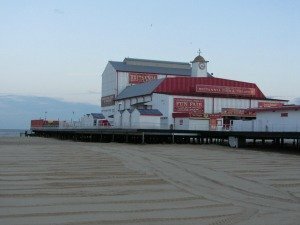 This is a thriving holiday resort and Gorleston beach is a wonderful sandy beach so probably best to keep away with your pets in the summer. 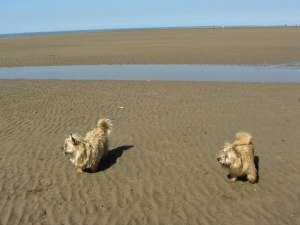 I hope you've found this list of dog friendly beaches helpful and I also hope you found what you were looking for - if not, please don't hesitate to contact us and we will endeavour to answer any questions you may have.. Happy dog walking! Don't forget the time-saver - the book that has all the best 28 Norfolk beaches in it including which ones are best for your beloved dog. 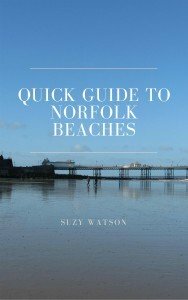 Take a look inside the Norfolk Beaches Handbook. 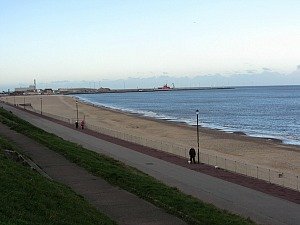 Just spent the day with my mum and dad on the beach at Gorleston on Sea. Love chasing my ball and fetching it out of the sea. Fred at Wells Next the Sea.